← Money, Money, Money! Event Merchandise on a Budget! The Holiday Season is nearly upon us! Snuggle up this winter with this premium super soft fleece blanket. This warm fleece blanket can be branded all over on 1 or 2 sides in full colour! This extra large branding area gives you huge creative freedom with your artwork resulting in some great brand exposure for you and your brand, and print the tag with a 1 colour print for a classy retail feel finish! 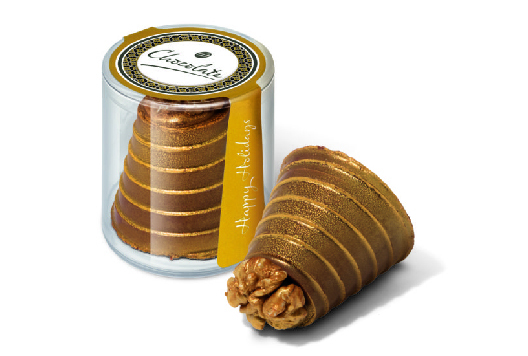 Spoil your staff or customers with this gold walnut whirl filled with vanilla marshmallow, finished off with an edible gold spray! This entry was posted in Uncategorized and tagged blanket, BX Merchandise, Christmas, fleece, holidays, merchandise, promotional merchandise, soft, treat your self, walnut. Bookmark the permalink.